With Robin Barnes, music is ingrained into the very fabric of her being: it's in her blood...literally. The New Orleans songstress grew up in a household of musicians with her families Jazz band the Soul Heirs and her cousin Dave Bartholomew who was inducted into the Rock and Roll Hall of Fame for his role in producing early Rhythm and Blues songs. 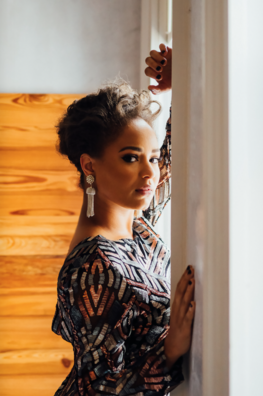 Robin is able to take on inspiration that encompasses the soulful and insightful musings of Etta James, the fierce stage presence of Bruno Mars, and the earnest heartbreak of Adele. By captivating audiences with her unique renditions of songs and powerful voice that ranges with each verse. she makes each song uniquely her own.